After losing Tackett, we’ve taken great comfort in our remaining two kitties. 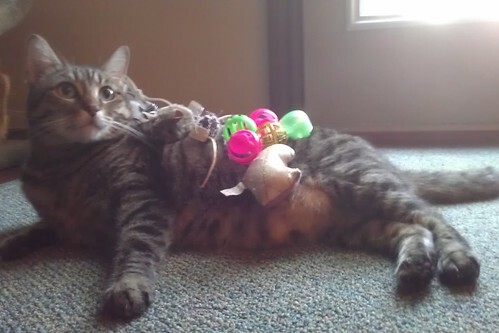 Neither Merlin (above, enjoying a sunbeam) or Marie (covered in toys below) are overtly people kitties. As long as they’re fed and have a place to sleep, they’re happy as can be. Even so, getting the odd petting session in here and there has been much needed by the non-furry people in the house. This is what happens when you have cats and teenagers. Marie was completely unphased by this turn of events. She is also very good at napping. And extremely cute doing it. The Doctor Who Stitch Along on Fandom In Stitches is chugging right along! 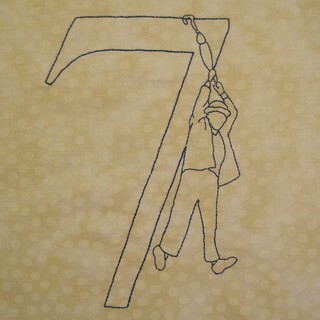 This most recent pattern was The Seventh Doctor, designed by Kristel over at wipgirl.wordpress.com, stitched by me. Her posts about the SAL are epic, so if you haven’t read her blog before, do eeet! I’ve been toying with many layout options to create the perfect quilt for my daughter while building on the basic layout that I designed for Fandom In Stitches. I think this one is it. She loves it. I love it. It has Daleks. So, yeah…more on this as it develops! This is the reason why it was so quiet around here this week. 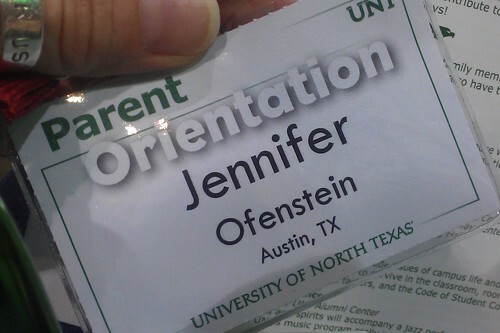 My daughter and I were in Denton, Texas for her college orientation. My brain is still a little overwhelmed with all the information. I’m not entirely sure how this happened, but I am now the mom of a college student. Eek! 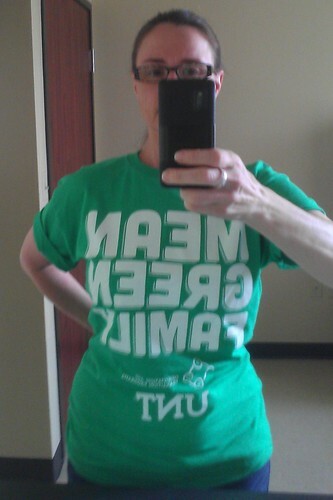 Everyone got t-shirts, even family members. 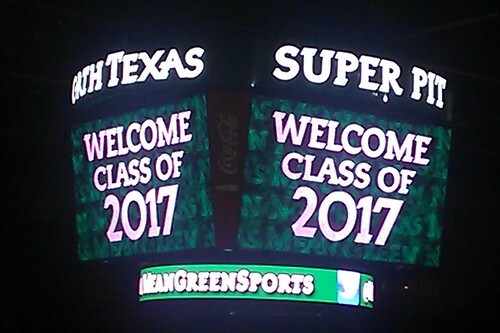 We are now Mean Green Family. Caw! 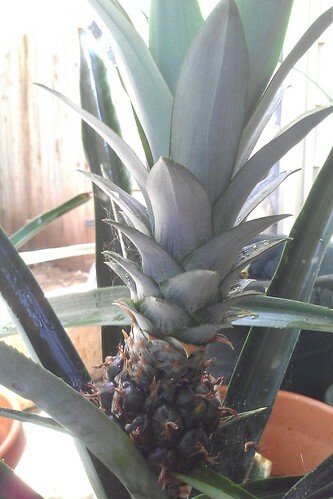 The wee pineapple on my front porch continues to grow. 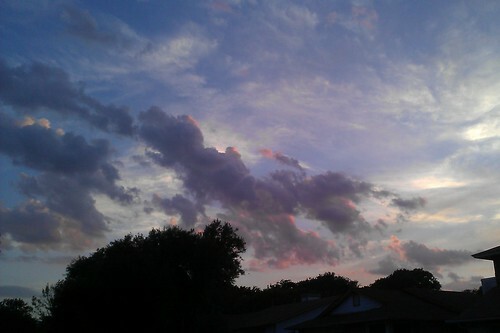 This is a random sky picture from in front of my house one evening when I was out for a walk. It was such a beautiful sunset, I had to snap a picture. 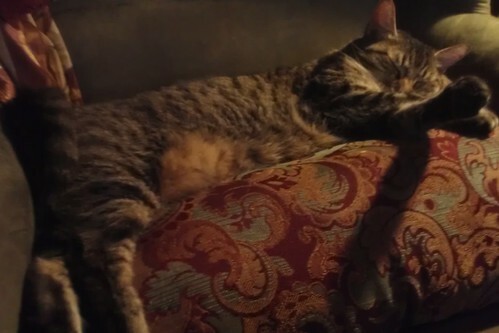 This entry was posted in Photography and tagged cats, doctor who quilt along, Family, unt on June 30, 2013 by Jennifer Ofenstein. Congrats on being a college mom! 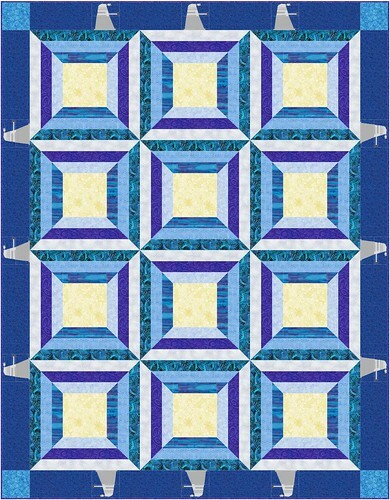 The layout for your daughter’s quilt looks fantastic!